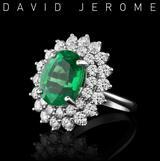 Comment: This is a rare chrome (certified) variety of diopside. If you have been looking in vain for an untreated emerald (and there are none under 100k), this gem with 6.6x9.5 mm does a perfect show. Fantasy-movie radical green, denser than anything you may ever see (have a glimpse at the backside image). 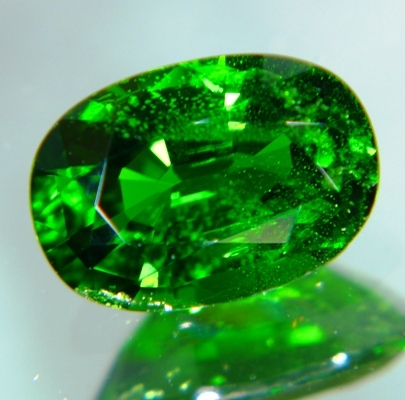 The hardly visible inclusions add to the emerald character. 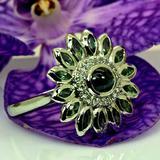 While normal diopside are value deal in green gems, this chrome-based color is a class of its own. Greatest fun.